How many times in your life have you regretted that you did not know enough, have not read more to show your intelligence and enhance your image and confidence in a business conversation or situation? It happens to the best of us; however how many of us become determined to educate ourselves, to be wittier, better informed, and faster thinking. Knowledge is an acquired quality – it is not inborn. The choice to be educated or not, to be on top of things, is always ours to create and make. Some people make it earlier, some make it later, and sadly some don’t make it at all. Yet, let us be honest about it and admit it, if only to ourselves, there is no better reason for self-content and pride, than the feeling that you can carry on an interesting or important conversation, operate and utilise the facts, understand your counterpart, and stand steadfast on your own. Intelligence is a chosen path for those who appreciate the importance and beauty of this personal skill. It becomes a part of who you are, the image you project to the world, an inalienable ingredient of your own self-perception. Obtaining knowledge is a matter of choice and, in fact, a simple thing to acquire, when you have made your decision to acquire it, committed to it and, once commenced, you never abandon the process. Whatever business situation you are in have a ‘vision’ as to what you personally want to achieve from it and equally important stay focussed on that vision. Take in and absorb all the information and process it. Try to analyse it yourself and make your own decisions. When talking on a subject, do not lose the topic; rather, stay on it until you have finished or the discussion is over, or at the very least agreed an outcome. This will help you to consolidate your thoughts and allow your listeners to come up with any comments or arguments unencumbered. A focused mind is able to expand and store new information more effectively. As a trainer, business coach and mentor I always encourage my mentees to have the brightest mind. This is a matter of personal choice, whether you are an avid stamp collector; love reading or are a film buff, train and exercise your brain, every day. Remember the smallest details of a conversation or task and analyse the ideas, complexity and outcomes. Load your mind with analysis and decision-making even in simple everyday situations. Take an unusual task to resolve, stay on it, and celebrate the results that will follow. The satisfaction you will experience will be very rewarding. Our mind needs a constant challenge to stay on top of the game. The routines we are accustomed to at work do not do the job. Challenge your brain with cross words, puzzles and games, like Sudoku or chess, etc. There comes a time in everybody’s development when they need support to improve their knowledge. This is perfectly normally and when that time arrives should not be ignored, as this is the time when many managers reach their peak and will not develop further without training or the wise advice and support of a coach or mentor. Everybody, not matter what level they are in business needs a mentor. If this is you….seek training and support now! There is nothing wrong with seeking an advice. But doing it on a regular basis might be damaging for your mind, self-growth, and ability to make your own decisions based on your own analysis. Face the challenge by yourself and only after the decision has been made, bring it to the table for a discussion…… if you want to. Stand by your decision and defend your point of view. Even if you lost and opted for another solution, you have just acquired a priceless experience and your brain has gone through a very good and useful exercise. If you are reading this blog then well done! Stay informed on the latest happenings in the world, expand your vocabulary, stimulate your brain with the masterpieces of world literature, enrich your erudition, and put it to use whenever you have an opportunity. Reading good books is a rewarding way to expand your knowledge, boost your intelligence and please your heart and soul. Good books stay with you forever, and once in a while, as you go through life, you return to them. And guess what – it is amazing how your perception changes as you read the old book anew! You know why? Because you have changed, and the ways you perceive and analyse information will have been modified as well. Last but not least. Obtaining greater knowledge helps you enjoy your times with yourself. Consequently, it boosts your self-esteem and you acquire a great new business partner …. your improved knowledgeable self. And what can be better than being content with who you are, the way you…….a more intelligent you! 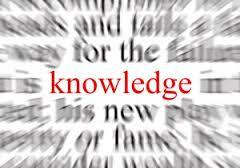 Do you need help improving your knowledge?………then contact us today. « Are you built to succeed? Afi – thanks feedback and also for sharing that fun and interesting story!